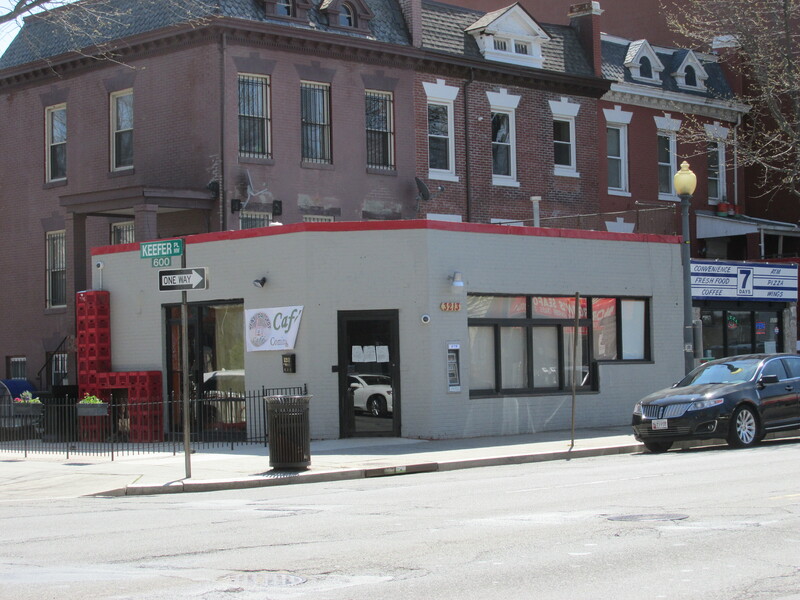 Heat Da Spot Coffee Opening Sunday, June 28th | Park View, D.C.
Heat Da Spot Café is located in the former Tibet Shop at 3213 Georgia Avenue, NW (at Keefer). Finally! 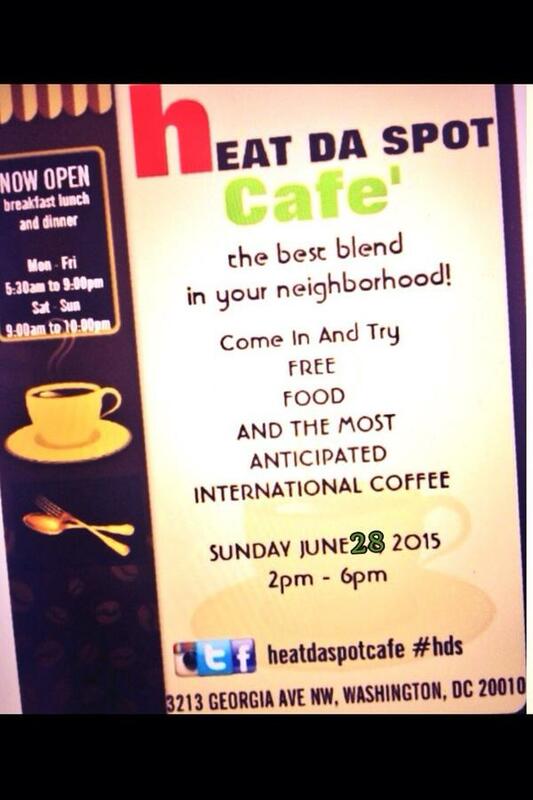 Heat Da Spot Café will be opening on Sunday June 28th from 2 p.m. to 6 p.m. It’s located on the southeast corner of Georgia and Keefer in the former Tibet Shop location. According to the flyer that they sent out on Twitter, there will be free food and coffee for those that check them out. Heat Da Spot Café also has a Website for those who want to check them out prior to Sunday (although it doesn’t appear to be quite finished yet). This entry was posted on June 24, 2015 at 7:01 am and is filed under Retail, Small Businesses. You can subscribe via RSS 2.0 feed to this post's comments.